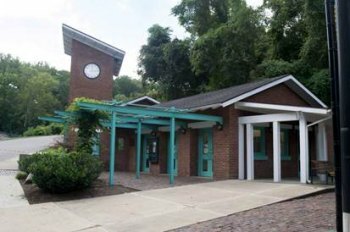 During the transition into a seasonal operation at the Ritter Park Tennis Center, the Center will operate during March and April to meet the needs of our local schools, and that of the Tennis Community. February 29 – May 6th - Monday thru Friday – 2:00 pm. – 8:00 pm. The public is invited to play on Center Court and Courts 1 & 2 during the hours the Tennis Center is manned at the rate of $6.00 per hour per court. Free play will continue to be available every day before 2:00 pm and after 8:00 pm. Free Play is available weekends thru May 8, 2016. Lights will be turned on all courts at dusk. Lights on Courts 1 – 6 will be programmed to go off at 10:00 pm. May 9th will be the official kick-off to the Summer Season and full seasonal operations will go into effect.